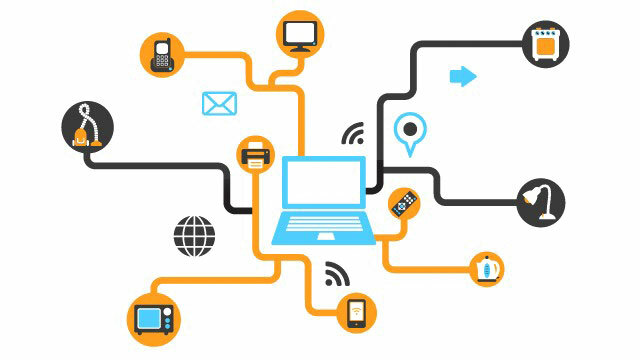 The Internet of Things (or IoT for short) refers to uniquely identifiable objects and their virtual representations in an Internet-like structure. Radio-frequency identification (RFID) is seen as a requirement for Internet connected devices. If all objects and people in daily life were equipped with identifiers, they could be easily managed by computers and other Internet enabled devices such as smart phones and tablets. Equipping all objects in the world with tiny RFID tags could transform daily life. For instance, business may no longer run out of stock or generate waste products, as involved parties would know which products are required and consumed. A person’s ability to interact with objects could be altered remotely based on immediate or present needs, in accordance with existing end-user agreements. 1. Place wireless sensors on or around "things" you want to monitor. 2. Setup notifications for when certain "conditions" are detected. 3. Receive real-time alerts by text, email or phone call, wherever you are. What are Monnit Wireless Sensing Solutions? Monnit wireless sensors allow your business customers to remotely monitor various aspects of their business via online connected devices. Our products offer a complete sensing, data tracking and alerting solution that has been tried and tested in some of the most demanding industries. Monitor; fridge temperatures, plumbing, doors and windows, lights, electrical use, etc. iMonnit provides alerts via Text and Email when things are wrong. Why Should You Use Monnit? "Monnit global services allowed us to leverage an existing RF platform with global certifications and a comprehensive monitoring infrastructure to bring to our market, a viable solution in a fraction of the time!" "I can not recommend the Monnit Team enough! Their products are solid, they answer the phone when you call and they always go the extra mile! If you are looking for a quality partner, this is it!" "What a great team! They were so easy to work with and they really know what they are doing! Custom hardware development with Monnit is a snap." "Monnit Global Services saved me so much time! We had been trying to develop our own solution for almost a year when we came across their site. With their help, we created a solution for exact needs and did it for a fraction of the cost! Outstanding support!"